Our range of products include old/ burnt look handmade papers, old look handmade papers with burnt edges, old look handmade papers for wedding cards, calligraphy, parchment, old look handmade papers for calligraphy and old, antique look handmade papers. Our Burnt Look Handmade Papers are Acid Free, Lignin Free and with Deckle Edges, available for Various End Purposes. Burnt Look Handmade Papers with Deckle Edges. Ideal for Notebook Manufacturers. Old Look Handmade Papers that look really old and are made from Cotton Rag Fibers, are papers are strong, sturdy and very durable.Vintage and Old Look Journal Papers suitable for Journal Manufacturers. Our Old Antique Look Handmade are used widely by Book Makers and Journal Manufacturers Worldwide although slightly expensive they give real value to your end product.We are manufacturing a beautiful range of Handmade Papers with Old Look Effect, these papers are available with Burnt and Torn Edges and look really old.We are manufacturing Burnt Look Handmade Papers in Large Scroll Size of 11” * 27”, these papers are used exclusively by scroll manufacturers worldwide for making old antique look scrolls.We manufacture a large range of Handmade Papers that have been specifically Manufactured to Old, Antique and Distressed.. These papers are used widely in Journals and Wedding Invites..Antique look Handmade papers with Deckle Edges, Handmade papers with that really old look.. we also manufacture Distressed Vintage Look Handmade Papers, our papers are .. suitable for Journal Manufacturers.. Old Antique Look Handmade Papers, made in Pure Cotton Rag Handmade Papers, with an Old Vintage Look, Available in a variety of Sizes and GSM.s We also try and understand your requirement, our client service team helps you get packaging that actually meets your needs, we just do not make Old Look Handmade Papers , we try and understand what exactly you need. Our Burnt Look Papers are very popular with Wedding Card Designers. We supply our Old Look Handmade Papers to Scrapbook Stores, Art and Craft Supply Stores, Paper Bag Manufacturers, Paper Box Manufacturers, Wedding Invitation Manufacturers , Journal Manufacturers, We can also customize our Antique Look Papers to suit your themes. We are supplying our papers to a lot of Scroll Invitation manufacturers and old/antique theme product manufacturers. We are supplying these old look papers in 8.5*11 or 12*12 or any other sizes as per your specifications. Old Look Papers are also widely used by Journal Manufacturers Worldwide. The standard GSm of this paper is 100, however we can customize the GSM as per your specifications Our Old Look Papers are also used by Customers who are manufacturing Distressed Look Products. We can also custom print on our papers as per your specifications. Old look handmade paper with burnt Edges available in a wide variety of sizes Old Look handmade papers suitable for Calligraphy. Old Look Papers ideal for Wedding Cards. Old Antique Look Handmade Papers ideal for Journal Manufacturers. Old Look Papers with Burnt and Deckle Edges. Antique Look Handmade Papers with Stained Borders. Old look handmade Papers are also popularly known as Tea Stained Papers.Our Old Look Papers are very popular with Journal Manufacturers Worldwide. Our Burnt Look Handmade Papers are Acid Free, Lignin Free and with Deckle Edges, available for Various Purposes. Burnt Look Handmade Papers with Deckle Edges. Ideal for Notebook Manufacturers. Old Look Handmade Papers that look really old and are made from Cotton Rag Fibers, are papers are strong, sturdy and very durable.Vintage and Old Look Journal Papers suitable for Journal Manufacturers. 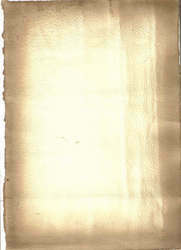 Our Old Antique Look Handmade are used widely by Book Makers and Journal Manufacturers Worldwide although slightly expensive they give real value to your end product.We are manufacturing a beautiful range of Handmade Papers with Old Look Effect, these papers are available with Burnt and Torn Edges and look really old.We are manufacturing Burnt Look Handmade Papers in Large Scroll Size of 11” * 27”, these papers are used exclusively by scroll manufacturers worldwide for making old antique look scrolls.We manufacture a large range of Handmade Papers that have been specifically Manufactured to Old, Antique and Distressed.. These papers are used widely in Journals and Wedding Invites. Antique look Handmade papers with Deckle Edges, Handmade papers with that really old look. we also manufacture Distressed Vintage Look Handmade Papers, our papers are suitable for Journal Manufacturers.. Old Antique Look Handmade Papers, made in Pure Cotton Rag Handmade Papers, with an Old Vintage Look, Available in a variety of Sizes and GSM.s We also try and understand your requirement, our client service team helps you get packaging that actually meets your needs, we just do not make Old Look Handmade Papers , we try and understand what exactly you need. Our Burnt Look Papers are very popular with Wedding Card Designers. We supply our Old Look Handmade Papers to Scrapbook Stores, Art and Craft Supply Stores, Paper Bag Manufacturers, Paper Box Manufacturers, Wedding Invitation Manufacturers , Journal Manufacturers, We can also customize our Antique Look Papers to suit your themes. 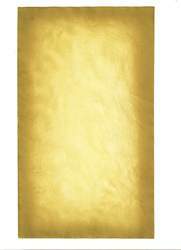 We are supplying our papers to a lot of Scroll Invitation manufacturers and old/antique theme product manufacturers. We are supplying these old look papers in 8.5*11 or 12*12 or any other sizes as per your specifications. Old Look Papers are also widely used by Journal Manufacturers Worldwide. The standard GSm of this paper is 100, however we can customize the GSM as per your specifications Our Old Look Papers are also used by Customers who are manufacturing Distressed Look Products. We can also custom print on our papers as per your specifications. We manufacture a large range of Old Look Handmade Papers with Burnt Edges, suitable for Wedding Cards, Calligraphy. We also manufacture a large range of Old Look Handmade Paper Cards with Burnt Edges suitable for Greeting Card Manufacturer. We also custom Print on our old look papers as per clients specifications. Old look handmade paper with burnt Edges available in a wide variety of sizes Old Look handmade papers suitable for Calligraphy. Old Look Papers ideal for Wedding Cards. Old Antique Look Handmade Papers ideal for Journal Manufacturers. Old Look Papers with Burnt and Deckle Edges. Antique Look Handmade Papers with Stained Borders. Old look handmade Papers are also popularly known as Tea Stained Papers.Our Old Look Papers are very popular with Journal Manufacturers Worldwide. Our Burnt Look Handmade Papers are Acid Free, Lignin Free and with Deckle Edges, available for Various Purposes. Burnt Look Handmade Papers with Deckle Edges. Ideal for Notebook Manufacturers. Old Look Handmade Papers that look really old and are made from Cotton Rag Fibers, are papers are strong, sturdy and very durable.Vintage and Old Look Journal Papers suitable for Journal Manufacturers. 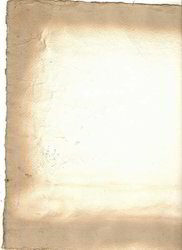 Our Old Antique Look Handmade are used widely by Book Makers and Journal Manufacturers Worldwide although slightly expensive they give real value to your end product.We are manufacturing a beautiful range of Handmade Papers with Old Look Effect, these papers are available with Burnt and Torn Edges and look really old.We are manufacturing Burnt Look Handmade Papers in Large Scroll Size of 11” * 27”, these papers are used exclusively by scroll manufacturers worldwide for making old antique look scrolls.We manufacture a large range of Handmade Papers that have been specifically Manufactured to Old, Antique and Distressed.. These papers are used widely in Journals and Wedding Invites..Antique look Handmade papers with Deckle Edges, Handmade papers with that really old look.. we also manufacture Distressed Vintage Look Handmade Papers, our papers are .. suitable for Journal Manufacturers.. Old Antique Look Handmade Papers, made in Pure Cotton Rag Handmade Papers, with an Old Vintage Look, Available in a variety of Sizes and GSM.s We also try and understand your requirement, our client service team helps you get packaging that actually meets your needs, we just do not make Old Look Handmade Papers , we try and understand what exactly you need. Our Burnt Look Papers are very popular with Wedding Card Designers. We supply our Old Look Handmade Papers to Scrapbook Stores, Art and Craft Supply Stores, Paper Bag Manufacturers, Paper Box Manufacturers, Wedding Invitation Manufacturers , Journal Manufacturers, We can also customize our Antique Look Papers to suit your themes. We are supplying our papers to a lot of Scroll Invitation manufacturers and old/antique theme product manufacturers. We are supplying these old look papers in 8.5*11 or 12*12 or any other sizes as per your specifications. Old Look Papers are also widely used by Journal Manufacturers Worldwide. The standard GSm of this paper is 100, however we can customize the GSM as per your specifications Our Old Look Papers are also used by Customers who are manufacturing Distressed Look Products. We can also custom print on our papers as per your specifications. Our Old Look Papers are also used worldwide by calligraphy artists We are also supplying our old look papers to scroll manufactures for making scroll invites. We manufacture a large range of Old Look Handmade Papers with Burnt Edges, suitable for Wedding Cards, Calligraphy. We also manufacture a large range of Old Look Handmade Paper Cards with Burnt Edges suitable for Greeting Card Manufacturer. We also custom Print on our old look papers as per clients specifications. Old look handmade paper with burnt Edges available in a wide variety of sizes Old Look handmade papers suitable for Calligraphy. Old Look Papers ideal for Wedding Cards. Old Antique Look Handmade Papers ideal for Journal Manufacturers. Old Look Papers with Burnt and Deckle Edges. Antique Look Handmade Papers with Stained Borders. Old look handmade Papers are also popularly known as Tea Stained Papers.Our Old Look Papers are very popular with Journal Manufacturers Worldwide. Our Burnt Look Handmade Papers are Acid Free, Lignin Free and with Deckle Edges, available for Various Purposes. Burnt Look Handmade Papers with Deckle Edges. Ideal for Notebook Manufacturers. Old Look Handmade Papers that look really old and are made from Cotton Rag Fibers, are papers are strong, sturdy and very durable.Vintage and Old Look Journal Papers suitable for Journal Manufacturers. Our Old Antique Look Handmade are used widely by Book Makers and Journal Manufacturers Worldwide although slightly expensive they give real value to your end product.We are manufacturing a beautiful range of Handmade Papers with Old Look Effect, these papers are available with Burnt and Torn Edges and look really old.We are manufacturing Burnt Look Handmade Papers in Large Scroll Size of 11” * 27”, these papers are used exclusively by scroll manufacturers worldwide for making old antique look scrolls.We manufacture a large range of Handmade Papers that have been specifically Manufactured to Old, Antique and Distressed.. These papers are used widely in Journals and Wedding Invites..Antique look Handmade papers with Deckle Edges, Handmade papers with that really old look.. we also manufacture Distressed Vintage Look Handmade Papers, our papers are .. suitable for Journal Manufacturers.. Old Antique Look Handmade Papers, made in Pure Cotton Rag Handmade Papers, with an Old Vintage Look, Available in a variety of Sizes and GSM.s We also try and understand your requirement, our client service team helps you get packaging that actually meets your needs, we just do not make Old Look Handmade Papers , we try and understand what exactly you need. Our Burnt Look Papers are very popular with Wedding Card Designers. We supply our Old Look Handmade Papers to Scrapbook Stores, Art and Craft Supply Stores, Paper Bag Manufacturers, Paper Box Manufacturers, Wedding Invitation Manufacturers , Journal Manufacturers, We can also customize our Antique Look Papers to suit your themes. We are supplying our papers to a lot of Scroll Invitation manufacturers and old/antique theme product manufacturers. We are supplying these old look papers in 8.5*11 or 12*12 or any other sizes as per your specifications. Old Look Papers are also widely used by Journal Manufacturers Worldwide. The standard GSm of this paper is 100, however we can customize the GSM as per your specifications Our Old Look Papers are also used by Customers who are manufacturing Distressed Look Products. We can also custom print on our papers as per your specifications. Looking for Old Look Handmade Paper ?